Good call rleahaines. I had that problem happen to me once as well... city dumped a TON of chlorine into the water to sanitize it (so much it smelled like a swimming pool when you turned on the faucet), and it killed all 7 stages of my RO/DI filter, that I JUST replaced. I got maybe 20 gallons of water out of the new filters before they were ruined. Only positive was that it was chlorine and not chloramines (although I had chloramine filters) which gasses off in 24 hours if you let it sit.. chloramines do not gas off like Chlorine due to the molecular bond with ammonia (or so I have read). You have to break the bond first, then you can remove the ammonia and gas off the chlorine if it makes it though your filters, but good filters should be able to handle a 'normal' level. The Chlorine smell may be an indication of the seagrass somehow decomposing. 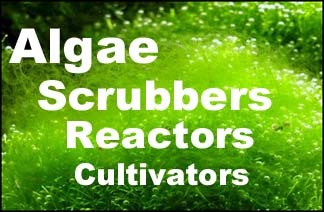 Seagrasses accumulate chlorine as part of their biology according to some websites. It may be that they are releasing it into the tank and causing a die off of corals, fish and so on. This is just speculation on my part.